The Only Laser Smoke Detector for Critical Applications! The rapid growth in telecommunications, computer technology and manufacturing has fueled a need for extremely early warning fire detection. Today, even a small fire can have a traumatic impact on business operations. Telecommunications facilities, traffic control centers, data processing and computer rooms can all easily be shut down in the presence of small amounts of smoke, let alone fire. In these applications, early detection is critical because a little downtime can mean disaster. Other environments that can benefit from VIEW’s early warning capability are archives and museums. These facilities often house irreplaceable documents and artifacts that are extremely vulnerable to fire related damage. 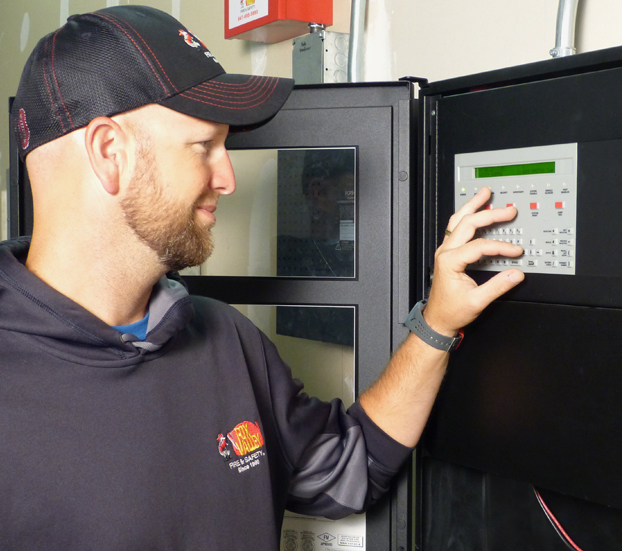 Laser technology is essential in any facility where there is substantial cost of downtime or a significant investment in installed equipment. And the sooner a fire can be detected, the lower the potential loss. NOTIFIER’s VIEW Laser Smoke Detector senses the earliest particles of combustion, providing early warning of a fire condition. Its laser diode and precision optics makes VIEW up to 100 times more sensitive than a standard photoelectric sensor. Using an exceptionally bright, controlled laser diode, VIEW can detect the extremely small smoke particles produced in the early stages of a fire. Although VIEW is ultra-sensitive, this does not come at a cost of stability or reliability. AWACS (Advanced Warning Addressable Combustion Sensing) algorithms verify the presence of smoke before alarming to minimize the chance of false alarms. 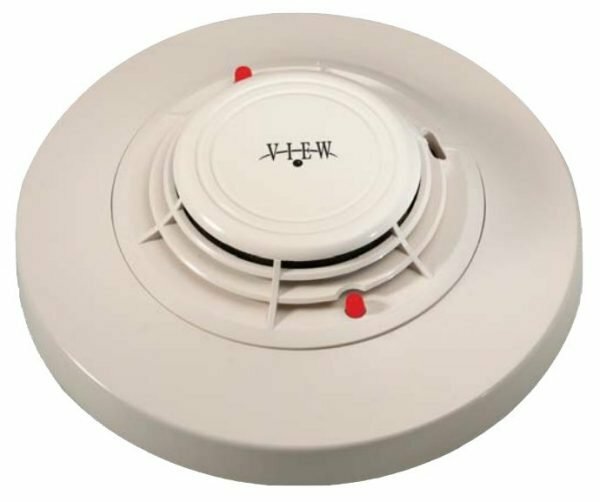 Features like automatic drift compensation and maintenance warnings work to reduce nuisance alarms and ensure the detector is operating at its peak performance level. 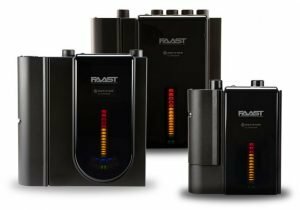 With its ability to quickly detect both fast flaming and slow-smoldering fires, VIEW incorporates the key benefits of ionization and photoelectric smoke detection into one innovative sensor. VIEW’s response far exceeds that of traditional aspirating systems. But unlike aspirating systems, VIEW immediately identifies the location of a fire with pinpoint accuracy. VIEW is extremely flexible. Only critical areas that actually require ultra-high sensitivity smoke detection will use VIEW. Non-critical areas can simply use standard photoelectric or ionization smoke detectors. 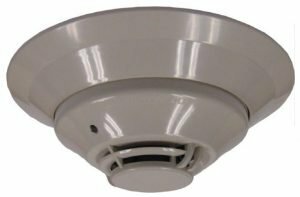 But regardless of type, all detectors can be intermixed on a single pair of wires, and utilize the same mounting bases, hardware, and accessories. VIEW also works with FlashScan, a new communication protocol developed by NOTIFIER. FlashScan greatly enhances the speed of communication between analog intelligent devices. Intelligent devices communicate in a grouped fashion, making response times five times greater that of other designs. 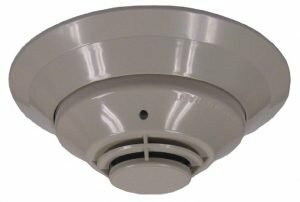 The Notifier FSL-751 VIEW Laser Detector is a revolutionary advance in early warning smoke detection technology. The unique design of this laser detector allows smoke detection sensitivity that is up to 50 times higher than present photoelectric technology, when combined with enhanced intelligent sensing algorithms in the Notifier AFP-300, AFP-400, NFS- 640, NFS2-640, NFS-320, NFS-3030 or NFS2-3030 control panels. Because of this high sensitivity, the FSL-751 can provide very early warning of slow smoldering fires. Its performance is comparable to present aspiration technology, at a substantially lower installed cost. The FSL-751 uses an extremely bright laser diode, combined with special lens and mirror optics (U.S. patent pending), to achieve a signal-to-noise ratio that is much higher than traditional photoelectric sensors. In addition, the tightly focused light beam, combined with the intelligent sensing algorithms, allow the system to differentiate between dust and smoke particles. Because of this differentiation, the FSL-751 can be set to extremely high sensitivity, yet can reject false signals caused by larger airborne particles such as dust, lint, and small insects. Very Intelligent Early Warning (VIEW) smoke detection. Sleek low-profile housing (1.66″/42.164 mm height). FSL-751(A): Laser Detector. Intelligent laser sensor with FlashScan capabilities. Mounts to one of the bases listed below. NOTE: For details on intelligent bases, see DN-60054.